The conference package for people on the go. Park free on our large parking lot and enjoy an all inclusive half day, or full day package. For those who wish to add a little something extra. Lunch or a three course dinner either in our restaurant or in our gallery. Try our unique teambuilding experience. 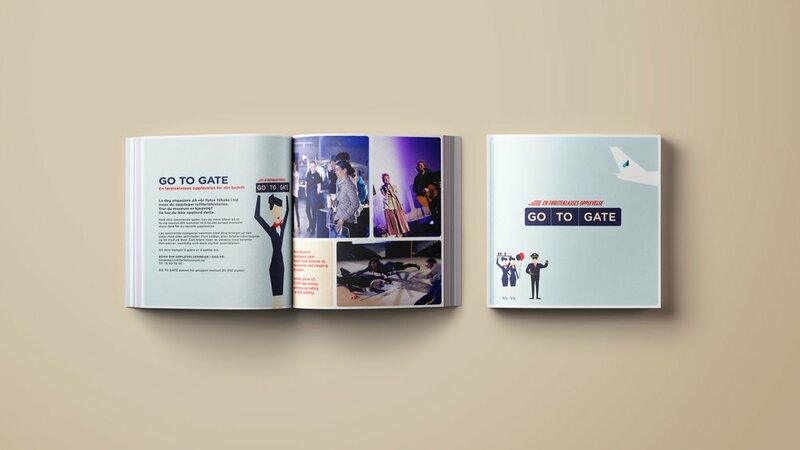 Fly from gate to gate and join in on activities while you learn about the aviation history. Your company or your clients will be divided in to groups of different airline companies and start your flight to your first gate. Find submarines boats, try parachute-formations, experience a beer call in the midst of some of the world´s most infamous aircraft. End your Go to gate with a dinner in our gallery for the perfect evening. Our staff will help you pick out the perfect menu for your day, using only the best of the local ingredients. For a really special experience, we can host you event in the civil gallery where you can dine under the wings of some of our most precious aircraft. You can celebrate the children birthday at the Museum! Invite your friends and family for an unforgettable birthday party and a spectacular day of play, aircraft, experiments and festivities. Our museum host will assist you before, during and after the party. Please do not hesitate to contact us on tel. +47 75 50 78 50 or email: booking@luftfartsmuseum.no, for prices and bookings, further information, or to arrange for a closer look at the museum and its facilities. We are famous for our delicious traditional christmas dinners. Enjoy the best of the Norwegian holiday dishes and choose between a setting in our restaurant or in our civil gallery. From the third of december until the 21th, we serve our famous christmas lunch. Book early to get your date and enjoy the traditional Christmas and dessert buffet.